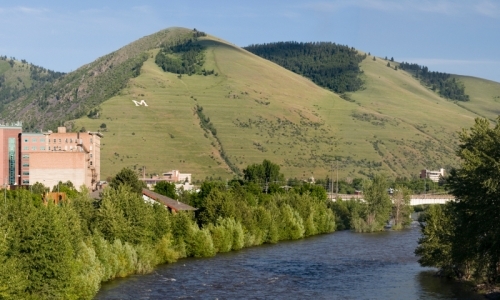 On Tuesday August 12 of 2014, Outside Magazine published an article called, “The 16 Greatest Places to Live in America” they ranked Missoula, Montana as #9 on the list of great greatest places to live in America. Missoula received 40,530 votes. “Best towns ever” had to have access to adventure, healthy eating options, bike lanes, and green spaces. Missoula has all this and more! The University of Montana, the town’s largest employer, cultivates youthful energy, but most activity revolves around the downtown stretch of the Clark Fork River. Brennan’s Wave attracts paddleboarders and kayakers. Of course, residents love this town best for what lies just beyond. “Trail access here is ridiculous,” says Wolfe. “I live downtown, and I can run out my front door, be on singletrack in two minutes, and go six hours without crossing a road.” Wolfe’s favorites include the 1.8-mile Mount Sentinel Trail, which climbs 2,000 vertical feet to views of the valley. The University of Montana is in the foreground. 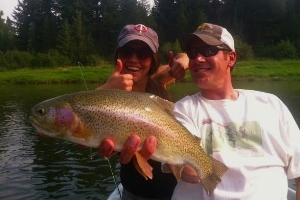 It wouldn’t be a trip to Missoula, or Montana, without a fishing adventure. Fishing is absolutely central to this community. At the convergence of the Clark Fork, Blackfoot, and Bitterroot Rivers, Missoula lives up to its name. 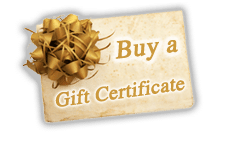 Whether you prefer to fish from the banks of the river right in the middle of town or prefer to hire a river guide to make a whole day of your fishing expeditions, you will not be disappointed with your catch. Missoula is famous for its blue ribbon fishing, with an almost endless selection of stretches to explore. The angling is so good here, that Forbes Magazine named Missoula one of North America’s top ten trout fishing towns. Fishing licenses are available through Montana Fish Wildlife and Parks. The three rivers that run through the town of Missoula, Montana is the setting for the 1976 fly-fishing novella by Norman Maclean, A River Runs Through It. A River Runs Through It is a story of two boys growing up in Montana with a love for fly-fishing. The book was made into an American film in 1992 directed by Robert Redford starring Brad Pitt, Craig Sheffer, and Tom Skerritt. For those who enjoy wildlife watching, it requires vigilant eye in Missoula as well as a good pair of binoculars for optimal viewing. Wildlife watchers keep their eyes out for deer, bighorn sheep, bison, and other amazing wildlife in Missoula and the surrounding wilderness. Birdwatchers love birding in Missoula because the town offers fantastic birding-watching sites and opportunities. The types of birds people might see in Missoula include woodpeckers, blue herons, flycatchers, bald eagles, and osprey just to name a few. When visitors come to Missoula, they should stay at the lovely Blue Mountain Bed and Breakfast. Innkeepers Brady and Elaine have glowing guest reviews. With gorgeous views, plenty to do and see, peaceful time to relax, and great food to enjoy, Brady and Elaine look forward to hosting guests who always end up as friends. The picture just above is the beautiful mountain view guests see from the deck at Blue Mountain Bed and Breakfast. The photo is by Marcus Berg of Unique Angles Photography. This blog post was written by Kristi Dement of Bed and Breakfast Blogging. As the snows melt in the mountains, the rivers swell. That means there is great whitewater rafting in Montana these days, especially in the rivers around Missoula. Are you the adventurous sort? If so, reserve a room at our Montana bed and breakfast and contact a Missoula rafting outfitter.